Excellent week at the Ecole Bleue with Victoria Gravelier winning 2nd Prize in the Emile Hermès 2016 Design Competition for 'Talu'. 762 projects from 62 counties submitted! 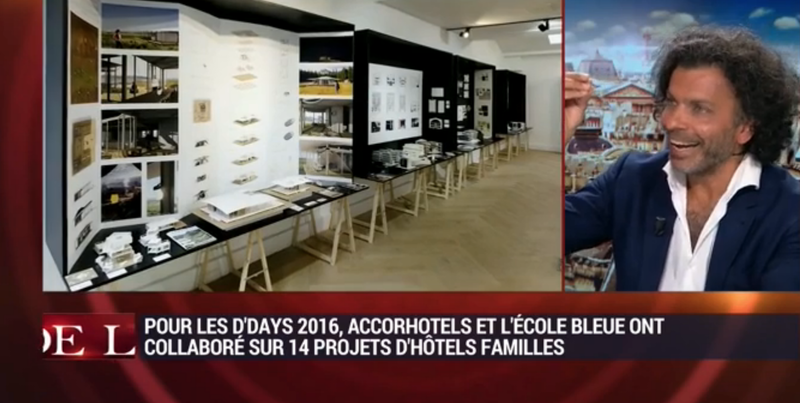 And the D Days exhibition of future hotel concepts with Accor Hotels exhibited at the Galerie Joseph. Fabrice Berrux interviewed on BFM TV on the design of hotels.